In February, I visited Montego Bay, Jamaica with a group of girlfriends. We stayed at the breathtaking Secrets Resort St. James which had eight incredible restaurants to choose from during our stay. The only problem is our stay was just four nights and five days, hardly enough time to sink our teeth into the massive selection of delectable foods available at every turn. Oh, but believe me, we did our best! One of my favorite places to eat was the World Cafe where this buffet-style restaurant served a stunning selection of dishes from around the world. It was there that I met one of the resident chefs, Ricardo, who created beautifully prepared pasta any way you like it. I thought this was the perfect opportunity to see how genuine Jamaican pasta might taste, so instead of telling him what I wanted, I asked Ricardo to create one of his favorite pasta dishes for me. In minutes, an inspiration was born! 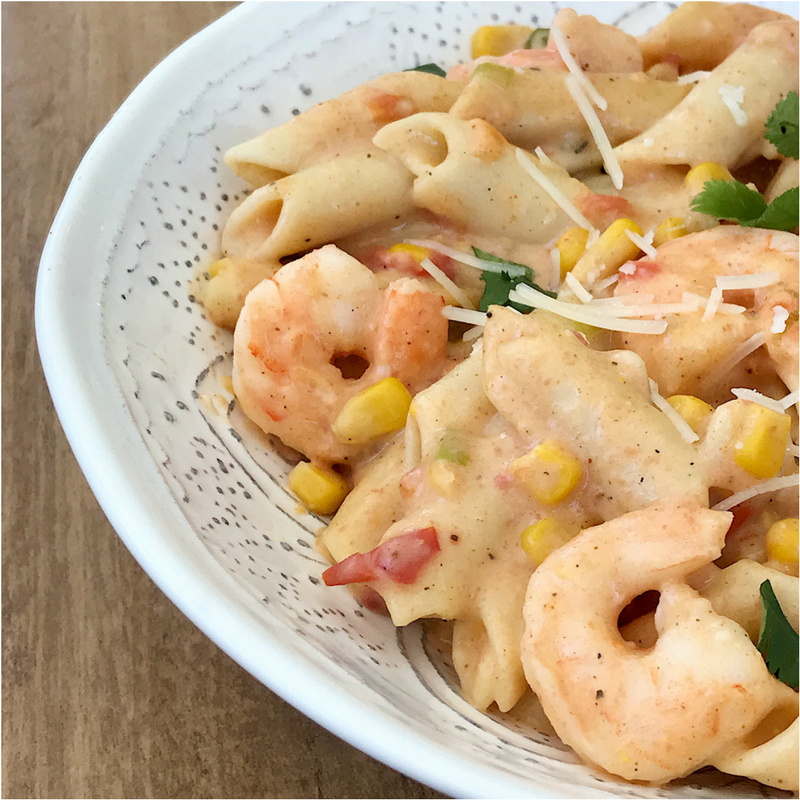 This creative cutie pie whipped up a shrimp penne pasta with cream sauce and a touch of cajun spice that set this dish apart from most other pasta dishes I have tried. 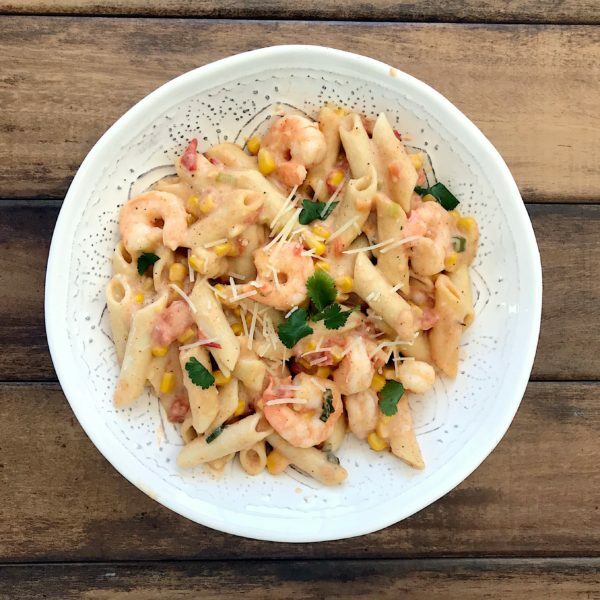 I was so inspired by Ricardo’s pasta that as soon as I returned home, I created my own version of Jamaican Cajun pasta that has now become one of my favorite Jamaican recipes (apart from Jerk chicken of course) to date. The thing I love most about this pasta is its versatility. 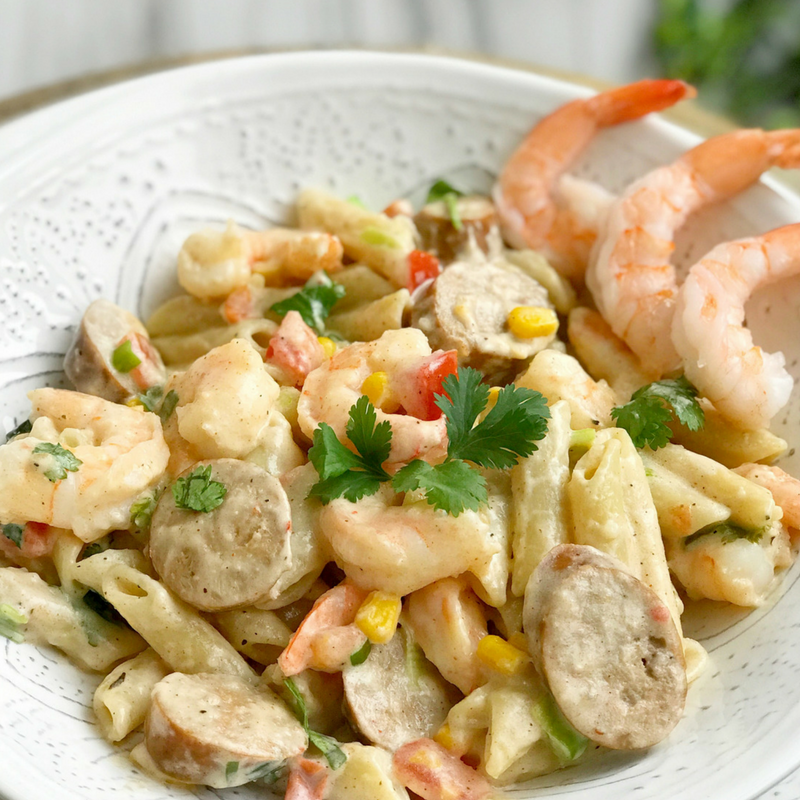 I added both shrimp and Andouille sausage to my recipe because I wanted a combination of seafood and meat with a kick. If you are not a fan of either, you can easily substitute one or both for your choice of seafood or meat. Lobster would be a stunning choice, and grilled chicken or turkey would be a delightful option if they happen to suit your taste more. The same for the vegetables. 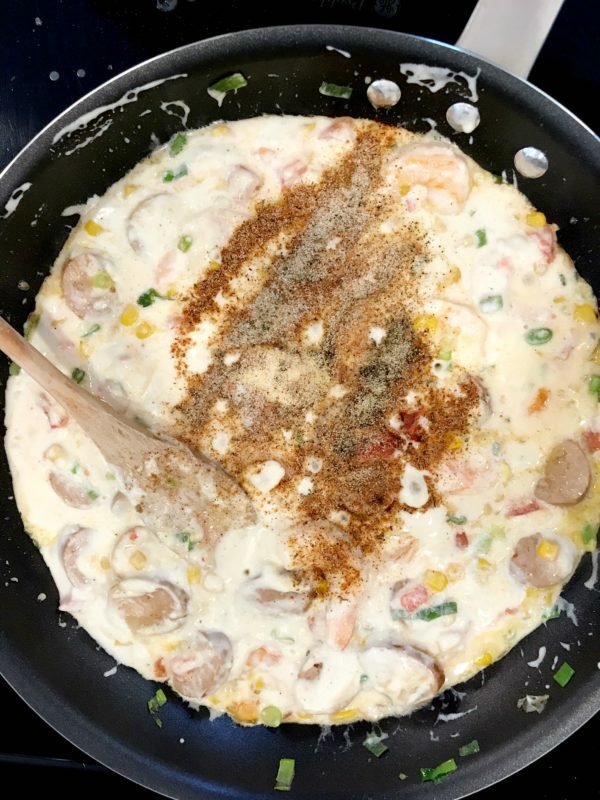 I happen to like the sweetness of the corn and the acidity of the tomatoes combined with the spicy cream sauce, but you could also use mushrooms, bell peppers, spinach, or just about any vegetable you like. The true flavor comes from the sauce and the cajun spice – the rest is just personality. If you don’t have Cajun spice at home, have no fear. You can find my recipe for homemade Cajun spice. So have fun with this recipe and see which combination suits you and your family best. 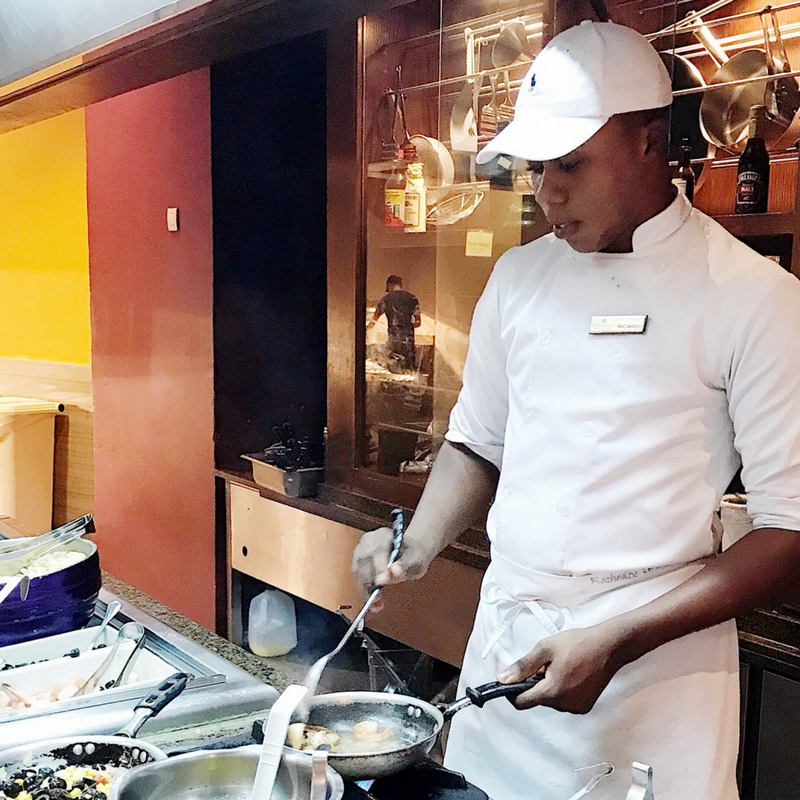 Experience a taste of Jamaica right from your own kitchen. 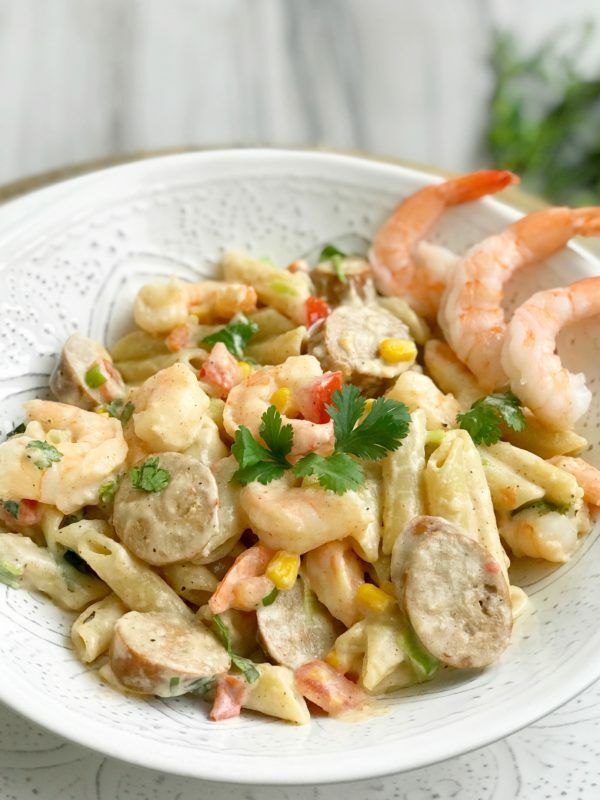 This creamy cajun pasta is packed full of flavor and has the perfect kick of heat depending on how much Cajun spice you sprinkle in. 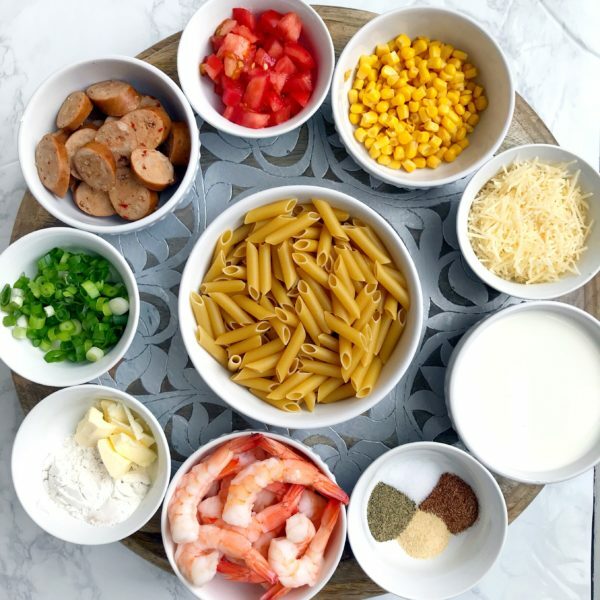 You can make it your own by adding your favorite ingredients like lobster or chicken in place of shrimp or sausage, mushrooms and peppers instead of corn and tomatoes, or all them all. The possibilities are limitless! Prepare your ingredients. Cook the pasta, rinse and set aside. In a medium saucepan, melt the butter over medium-high heat. 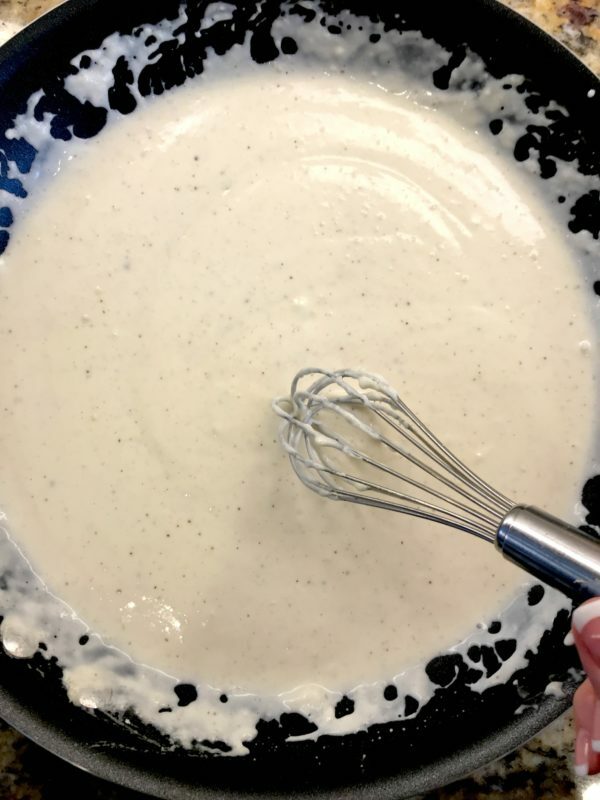 Add flour and quickly stir into a paste consistency. Pour 1/3 of the milk into a pan and using a whisk, vigorously combine ingredients until creamy. Add another 1/3 milk and continue to whisk. 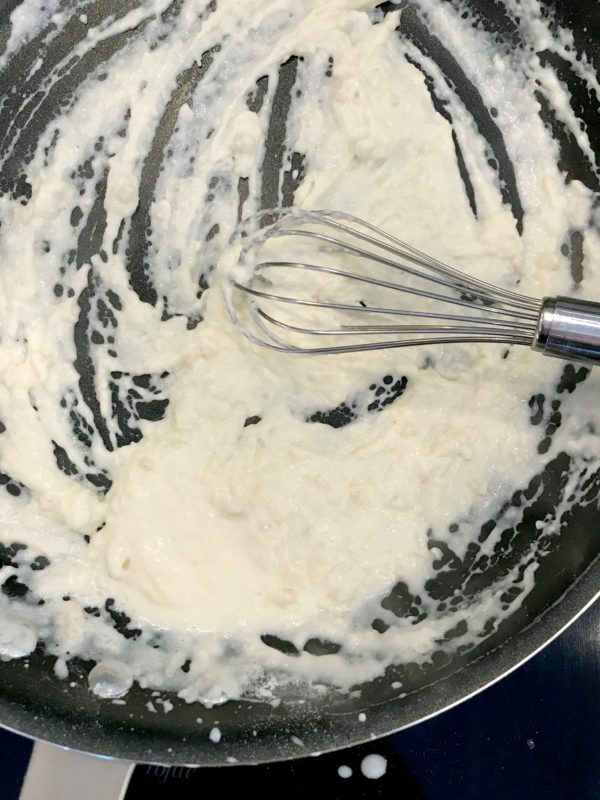 Add the remaining milk and whisk until sauce is creamy and smooth. Sprinkle with 1/2 teaspoon salt, pepper, and nutmeg, stirring to combine. 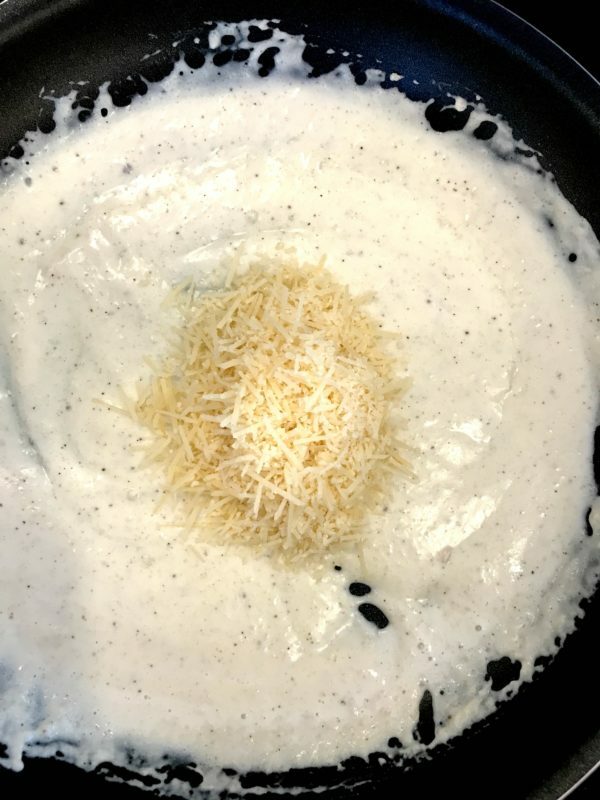 Add the cheese to sauce and stir until melted. Remove pan from heat and set aside. Heat oil in a medium sautépan over medium-high heat. Add onions and sauté for 20 seconds to infuse the oil. 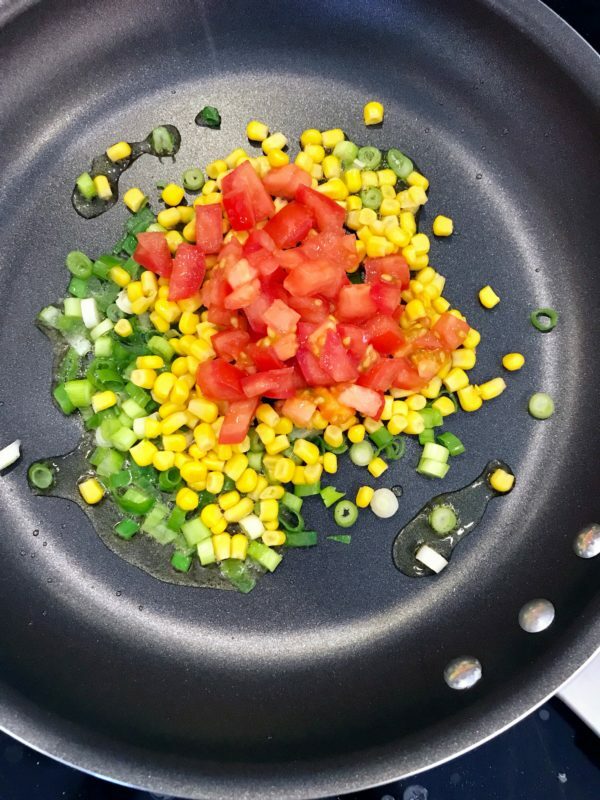 Stir in tomatoes and corn and sauté for 2 minutes. 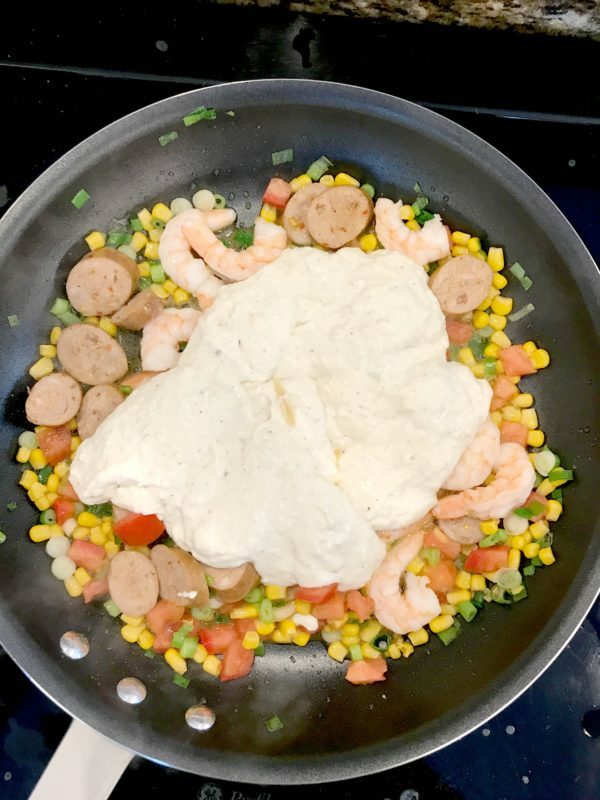 Add in shrimp, sausage, and noodles and toss to combine. Stir in sauce, reduce heat to medium, and cook for 3 minutes, stirring as needed. Toss in cilantro (optional). Sprinkle in cajun seasoning (1 teaspoon for mild spiciness and 2 teaspoons for extra spicy) and the remaining 1 teaspoon salt, stir until everything is well combined. Adjust seasoning if desired. Begin by using less Cajun seasoning to ensure the dish doesn't become too spicy for you or your family. Add more seasoning at the end if desired. You can adjust any of the ingredients to your likings by removing or adding your favorites. Sounds delicious for dinner tonight! This is one of my favorite pasta recipes when I am in the mood for something decadent with a bit of spice! Let me know how it turns out for you. Enjoy!